With the onset of digital cameras in the market, a lot of people have begun to notice "Balls of Light" in various sizes with a definitive pattern and inner glow in most of the photographs they'd taken. The key difference between a digital camera and a normal camera is that the digital camera has no film, instead it has a sensor that converts light into electrical charges. At its most basic level, this is all there is to a digital camera. Just like a conventional camera, it has a series of lenses that focus light to create an image of a scene. But instead of focusing this light onto a piece of film, it focuses it onto a semiconductor device that records light electronically. A computer then breaks this electronic information down into digital data and the pattern inside these Orbs can be seen even more clearly. Skeptics always have reasons to debunk / not believe in any aspect of the invisible universe, in this case accounting the round glowing orbs to dust particles, moisture or a faulty camera. On the contrary, the ones who have researched and experienced the Orb phenomena know otherwise. 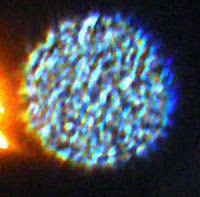 Orbs are seen in different colors as well. Most of the Orbs i have seen in pictures on the Internet and in some of the pictures I'd taken on my Olympus FE-330 are simple bright white balls of light while there are some blue orbs as well. 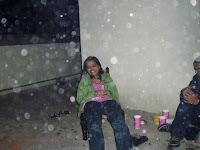 There have been pictures taken by others which you can find on the net of orange, golden and pink orbs as well. 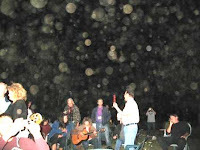 Orbs are seen at spiritual gatherings, cemeteries, clairvoyant meetings, parties, musical gatherings and festivals almost everywhere you feel good positive vibrations all around ! Freddy Silva who made this fantastic documentary called Stairways to Heaven : The Practical Magic of Sacred Space speaks about Orbs and their connection with crop circles and sacred sites ! Celtic Gadrens : Orbs, Crop Circles ... Transdimensional Consciousness ! I have an rather extremely unusual Orb photo. I've seen hundreds of pics of rain drops, dust, and floaters. 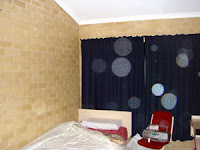 I had never seen(til now) an orb that emits light that shines on the wall. I only ask if your interested, that you supply an email capable of receiving a photo 1.25Mb, for most sites are around 300Kbs or less. Like I said, I've seen many questionable pics and would like to hear an opinion of this one. My best to you, Sonny Day. I concur with Rick's comment (above or below), if there was any way to do it, I'd jump at the chance to share a few of my Orb collections. 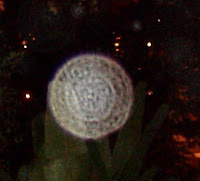 I just saw another amazing batch of photos featuring Orbs of many shapes and sizes floating directly above people's heads at an MLM/Network Marketing conference I attended in St. Louis last year. One of the shots is of a prominent religious event organizer & fellow MLM millionaire with a Silver Cord shooting from from his midsection right past my frame of view. Another shot is of a Mormon Biship from Arizona chatting with a group of MLMers and a super-massive intensly white Orb looming directly over his shoulder while an eight-ball sized Orb ejects directly from his mouth at a very fast speed so as to leave a dust trail of light streaking past my frame of view like a mini comet emmitting from his mouth. All weird stuff. In fact, using the same camera at the same time revealed most of the other shots devoid of any Orb anomolies, only certain people, certain groups of people, never just orbs alone in a hallway, but always around spicific personalities and never in my viewfinder at the time I shot them. Using a Kodak EasyShare 7590. If you would like to share your Orb Photos please send them to [email protected] ! i went to a place called whittingham mental asylum, it dates back from about 130 years ago in Lancashire England. Anyway i took my camera, to see if i could spot some orbs, i took a few pictures, and there was the odd one, as we started walking round the place, we came to a huge courtyard, instantly i felt in awe, at the same time i felt slightly sick and nervous. I took a picture. 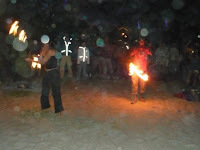 And the place was full of orbs, i turned to my friend and said, i really dont feel welcome here.we left shortly after that. 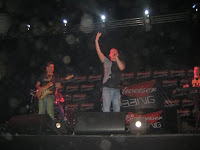 Please have a look at my picture video "Living UFO". In the end you will see a close up of a hovering orb, that I have seen and studied myself from up close, like a face across the table. It shows that your schematic interpretation is not correct. It is not just a ball with equal layers all around. Feedback here welcome of course! In Love & Light ... Now & Forever ... ONE ! 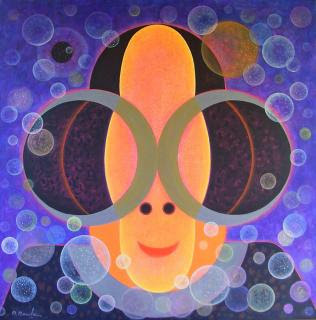 Thanks for having a peep Cosmic Oneness. I have just taken divine photos of a possum in a fork of a tree with orbs watching on.... almost full moon here in Oz. Hardly a night goes by when I don't photograph our Transdimensional Friends. Sheer bliss. My husband captured an orb-filled image with his digital camera on a recent hike through the mountains. Namaste. 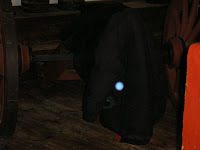 I found a perfectly round light blue orb behind my 3 year old daughter in a pic taken on Xmas Eve 2009. In the next photo take a second later, it was gone. It appeared to have a 'cartoonish' face. Pretty cool stuff! Love & Light ... All Ways ! 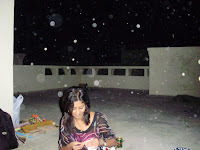 Everyone has orb photos, I have so many of me and friends and then theres a random few orbs about. this kind of thing are so common. I've seen one fly out of a tv that was off at the time, pause then fly out the window. My brother was in the room with me and saw it as well. Thank you for the information on Orbs. Every Christmas we find them on many of our pictures. Taken by different people's cameras. We feel it is family enjoying the Holidays with us. 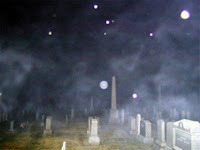 To view our Orb, Angel and Fairy photos please visit http://www.benevolentspirits.com/ Thank you! If you happen to be living in Singapore, go to the gymnastic floor & badminton hall of Bishan Sports Hall. At night when all the lights have been switched off, look at the cctv monitor and you can see many flying orbs in there. But if you look into the hall with your naked eyes, you can't see anything in the darkness. Occured every night.